Ontic Engineering and Manufacturing is an aerospace manufacturing company in Gloucestershire, specialising in parts and services for legacy aerospace platforms. The aim of the Ontic project was to support a December acquisition and the subsequent rise in staff numbers at their Cheltenham site. 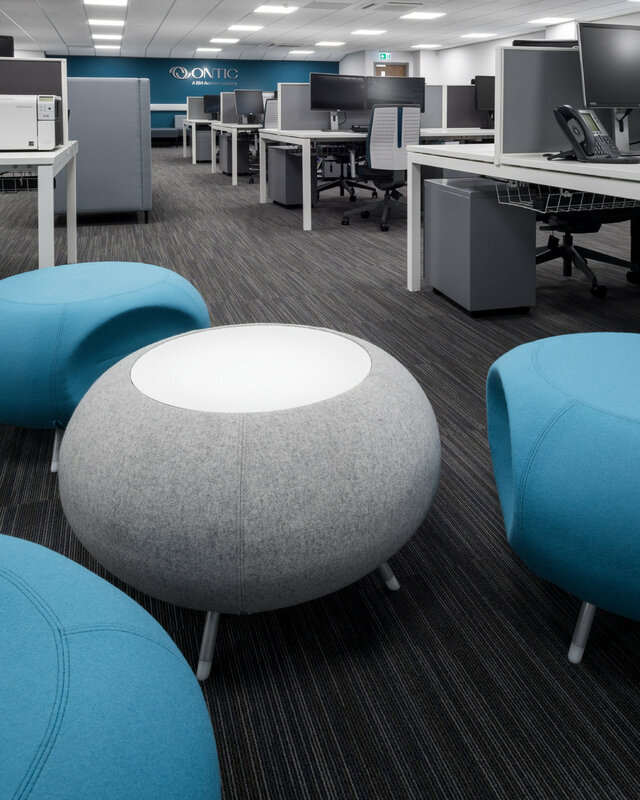 This significant increase in headcount created a new requirement for office and meeting spaces, communal working areas and breakout facilities. 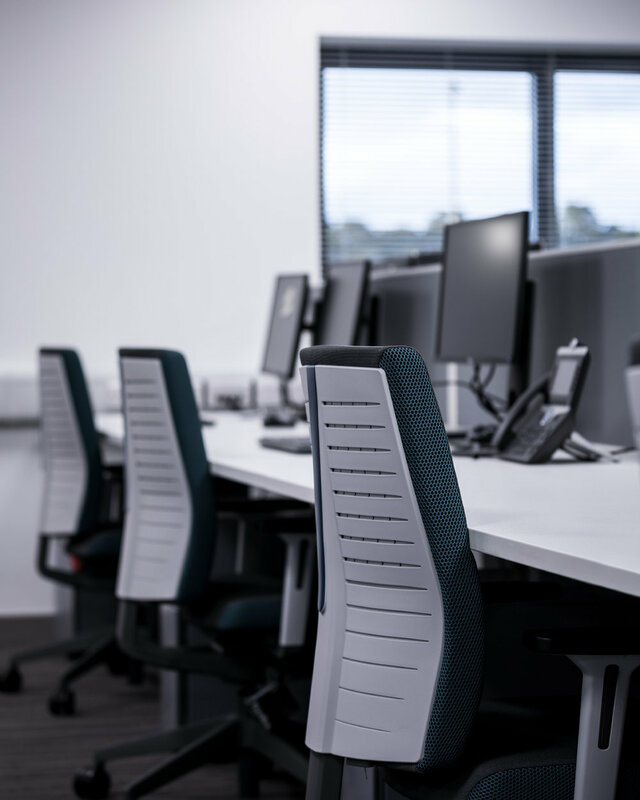 Prism Interiors were tasked with the retrofitting of the existing offices and meeting rooms, additionally, changes were also required in order to increase productivity and efficiency throughout front of house areas. Prism Interiors were involved from the outset, working closely with the Ontic management team. The design brief was discussed extensively whilst the building work got underway and Prism Interiors presented several CAD designs and options in order to meet a very challenging brief. Chemistry workstations teamed with Freeflex chairs were installed at Ontic, meeting the modular and aesthetic requirements of the project. Prism Interiors provided a service above and beyond what was expected and worked closely with us to ensure the proposed design met all aspects of our complex brief. The end result has been a great success and we are of the opinion that it has given our facility a look and feel which enhances and promotes our corporate identity. 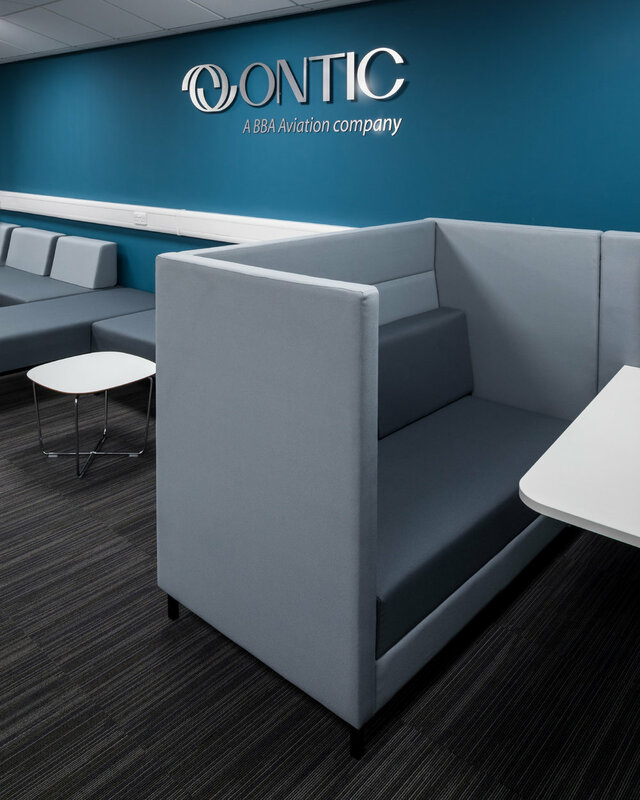 Ontic branding guidelines were used to select a colour palette of greys and teals which teamed with white workstations and storage units created a bright and vibrant open plan space. Colours from the same palette were also used as accents to highlight and give an identity to the meeting rooms.